BROOKLYN, New York, Monday, May 14, 2018 – C.D. 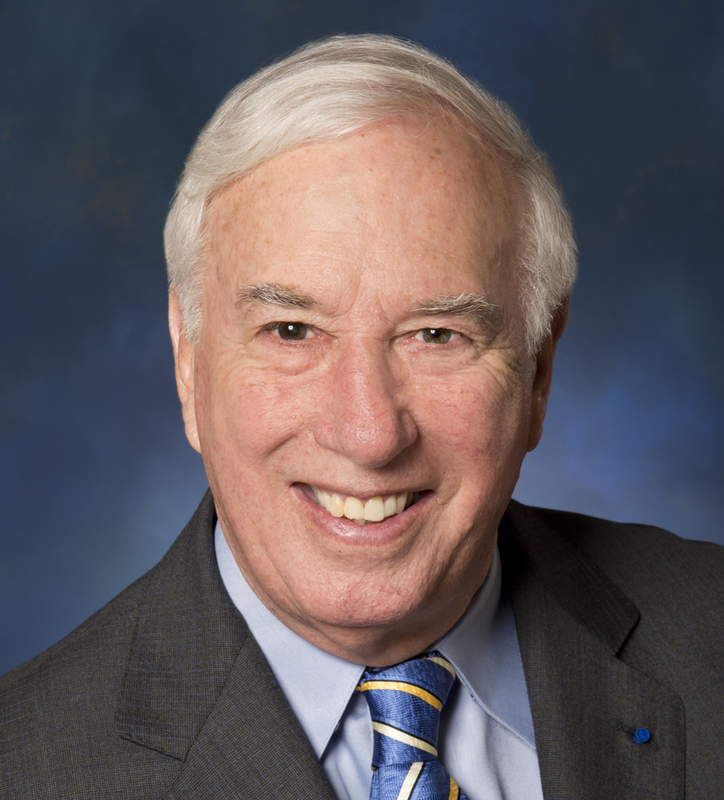 (Dan) Mote Jr., president of the National Academy of Engineering (NAE), will deliver the commencement address at the NYU Tandon School of Engineering’s 2018 graduation ceremony on May 15 at the Barclays Center in Downtown Brooklyn. Mote plans to tell the graduating students how some of the most successful engineers throughout history were rule breakers who took risks and forged their own paths, finding greatness at the edges of the mainstream. “I'm proud to be this year’s commencement speaker at the NYU Tandon School of Engineering, an institution dedicated to solving problems of global importance," Mote said. "The students now graduating will undoubtedly use their Tandon educations to improve the planet and make it a more sustainable, safer, healthier, and better-connected place." The school will confer 576 bachelor's, 1,340 master's, and 40 doctoral degrees this academic year. At its commencement ceremony, Mote will receive the Polytechnic Medal, created to acknowledge persons exhibiting the values that have made the school a home to innovation and opportunity since its inception in 1854. Before ascending to the presidency of the NAE, Mote enjoyed a long career in academia. At the University of California, Berkeley, where he served for more than three decades, he led the Department of Mechanical Engineering, held an endowed chair, served as vice chancellor, and oversaw a capital campaign that raised $1.4 billion. In 1998 he was recruited to the presidency of the University of Maryland, College Park, a position he held until 2010 when he was appointed Regents’ Professor. During his tenure there, the number of academy members on the faculty tripled, three Nobel laureates were recognized, and an accredited school of public health and a new department of bioengineering were created. He was elected president of the NAE in 2013, and in that capacity, he is committed to ensuring highly competitive talent in the U.S. engineering workforce, facilitating public understanding of engineering, demonstrating how engineering creates a better quality of life, and engaging the academy in global engineering issues in support of national interests. A renowned expert on the dynamics, stability, and control of high-speed rotating and translating continua (including disks, webs, tapes, and cables) as well as the biomechanical problems associated with snow skiing, Mote has garnered numerous laurels throughout his career, including the NAE Founders Award, the American Society of Mechanical Engineers Medal, and the Humboldt Prize of the Federal Republic of Germany. He is an honorary fellow of the American Society of Mechanical Engineers, honorary member of the American Society for Engineering Education, and fellow of the American Academy of Arts and Sciences, American Academy of Mechanics, Acoustical Society of America, and American Association for the Advancement of Science. He holds four honorary doctorates and three honorary professorships. He was elected to the Chinese Academy of Engineering in 2015 and as an honorary academician of the Academia Sinica, Taiwan, in 2016. In 2017, he was elected a Fellow of the National Academy of Inventors.